With the advent of the supermoon this week, it seemed like the right time to share The Moon Inside. Ella is scared of the dark and every evening as night creeps into her house, she grows afraid. Ella's mother intervenes in a gentle way and allays Ella's fears by introducing her to the moon and the serene magic and sounds of the night sky. A quiet, beautiful and poignant story with soft and gorgeous illustrations—some of the best we've seen this year. 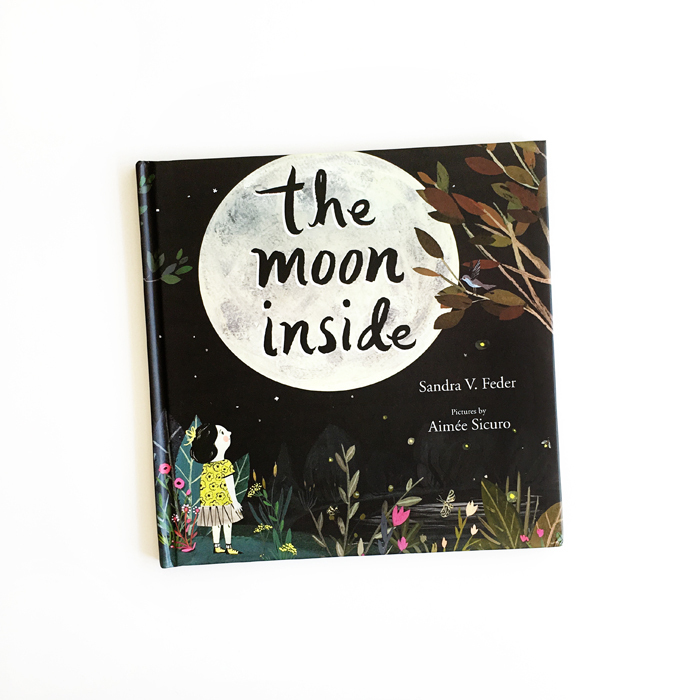 The Moon Inside was written by Sandra V. Feder, illustrated by Aimée Sicuro and published by Groundwood Books.